For more information on GMEX Group visit their website. Successful and experienced in gold trading with expertise in the recycling of gold, gold vaults and refineries, sourcing of gold, and trading of gold. Five Rings has differentiated themselves by a business approach based on capability build-up, partnerships and innovative trading structures. The company’s focus resides in volume trading of ethical and “green” precious metals sourced through off-take and spot transactions. They combine local market insight with international positioning and have become a reference point of reliability and a partner of choice with producers and customers. The intention of Five Rings is to evolve into a leading independent Gold trading house, by growing on the back of an expanding global footprint, infrastructure investment and significant added value. FinComEco (launched by GMEX Group and Saescada) is a commercial venture geared towards developing financial ecosystems within the agricultural sectors of countries with emerging markets such as Africa and Southeast Asia. The primary goals of FinComEco are to improve food security and economic diversity in these countries by providing the most current financial, business, and technological solutions that are carefully tailored to the requirements of each country in a self-sustaining model. The model has been implemented in Malawi and proven to positively impact those involved in the programme, with 47,000 smallholder farmer participants showing a 37% increase in incomes within the first year of implementation. Since its official launch in April 2017, FinComEco has had significant traction in 21 countries across the Pan-African region including 3 who have signed agreements (Malawi, Mozambique and Ghana). 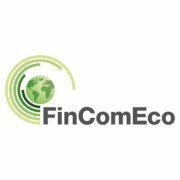 For more information on FinComEco visit their website.